Dr. Dave H. Lee, M.D. Dr. Ellen R. Miller, M.D. Dr. Dean S. Bancroft, O.D.  The physicians and staff at The Children’s Eye Center are dedicated to providing the best medical, optical and surgical care possible for our patients. We provide medical and surgical care for pediatric eye problems, as well as, persons of all ages who have strabismus (eye misalignments). We have been serving the Colorado Springs community and Southern Colorado for over 30 years and are the only medical practice in the entire Southern Colorado region dedicated solely to pediatric ophthalmology and ocular motility. Our fellowship trained pediatric ophthalmologists specialize in the diagnosis and treatment of eye conditions in children, including amblyopia (decreased vision), need for glasses (myopia, hyperopia, astigmatism), strabismus or crossed eyes (esotropia, exotropia, hypertropia, hypotropia, pseudostrabismus), nasolacrimal duct obstruction (tear duct blockages), congenital eye problems (congenital cataracts, congenital glaucoma, ptosis (droopy eyelids), metabolic or systemic conditions with eye findings (diabetes, juvenile rheumatoid arthritis, neurofibromatosis, etc), optic nerve problems, and nystagmus (shakiness of the eyes), as well as, ocular motility problems in patients of all ages (adult strabismus).